President’s Day honors George Washington (born February 22) of cherry-tree-chopping fame – the perfect time to bake cherry cookies! 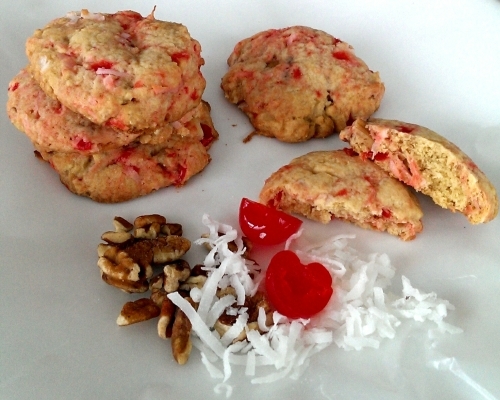 Cherry Coconut Cookies are flavored with maraschino cherries, which are best known as a topper for ice cream sundaes or as a garnish in cocktails. Maraschino cherries are bright red, flavored with sweetener and almond flavoring, and processed in sugar syrup. When chopped and added to cookie dough with coconut and pecans, the cherries add a colorful touch to these delicious, fruity cookies. Get the full recipe for Cherry Coconut Cookies … and be sure to check out our Cherry Cookies Pinterest board.